Have you created many photo albums to manage your photos before? You may not need them now. You can delete the albums you've created. Deleting all photos in the album will not delete album itself. 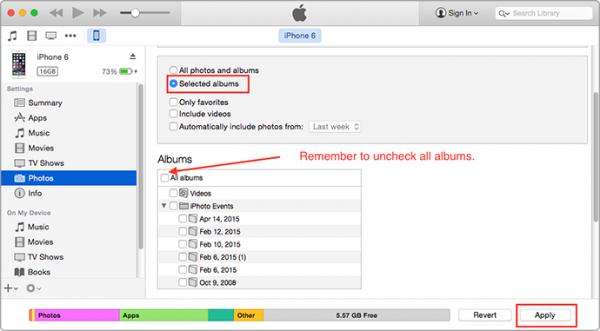 You have some methods to delete the unwanted albums from your iPhone/iPad. Sometimes you may fail to delete albums as your iPhone/iPad is synced to iTunes. You can find the way to make it here. Have you noticed that delete photo albums will not delete the photos in them? Just the ablum itself has been removed. The photos are still in your camera roll and listed according to date taken or added. Here are some useful tips for you to manage your photo library and save more space for new photos. 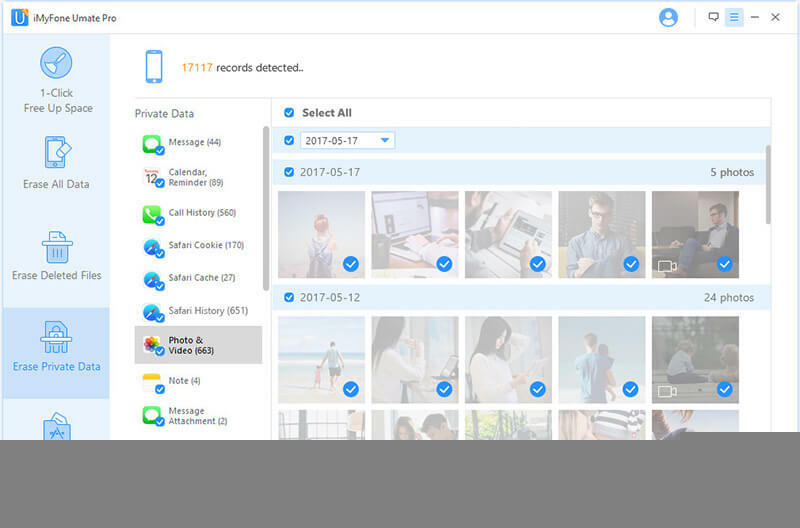 Manually deleting Albums & photos is not permanent, which means the deleted photos can be recovered easily with recovery tool. If your iPhone/iPad photos involve much of your private or personal data, you'd best completely destroy them without any chance to recovery. You may not make it manually. But iMyFone Umate Pro offers you the chance to make it. Permanent Album & Photo Removal: Preview and select existing photos in iPhone to be completely destroyed, in 0% recovery rate. 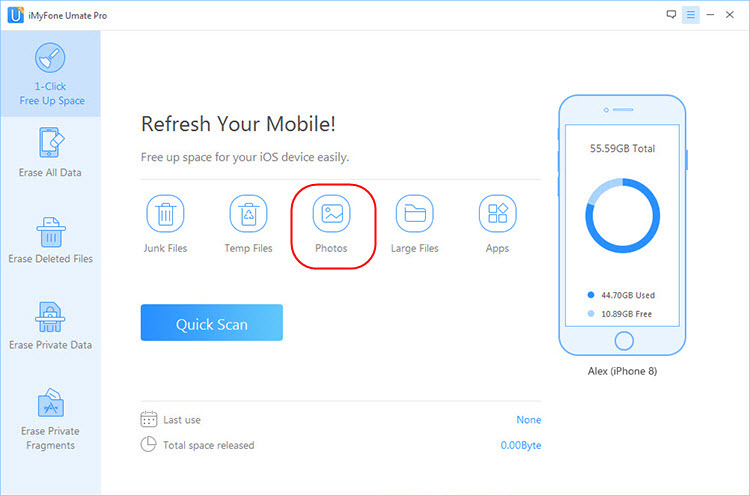 Erase Deleted Photos: It deeply scans your iPhone and find the deleted photos which are still recoverable. You have the chance to permanently destroy them. Erase synced Album & photos from iPhone without iTunes at ease. When your iPhone is successfully connect to your computer, choose "Erase Private Data" mode from left-side menu. Hit "Scan" button to go on. It will show you all the private data. Preview and select photos to erase and hit "Erase Now" button to continue. Then type "delete" into the box to confirm. Then, both the album and photos will be completely deleted. It can clean up as many as 30+ types of junk files and temporary files once. Media files like movies, videos, audiobooks, etc. can be deleted in bulk with backup on computer. It can permanently erase everything from your iPhone/iPad and make it safe enough to resell. It also supports to permanently delete private fragments produced by third-party apps. Photos taken by iPhone/iPad are HD which occupy much photo space. It is not necessary for most photos. It is good to back up photos to somewhere and compress them on your iPhone/iPad. You may not make it manually, but you can consider iMyFone Umate Pro or iMyFone Umate Pro for Mac for help. It is a professional iOS data eraser with all-in-one solution for space saving and data permanent erasure. Back up iPhone photos to computer or external hard drive, (and delete them from iPhone). 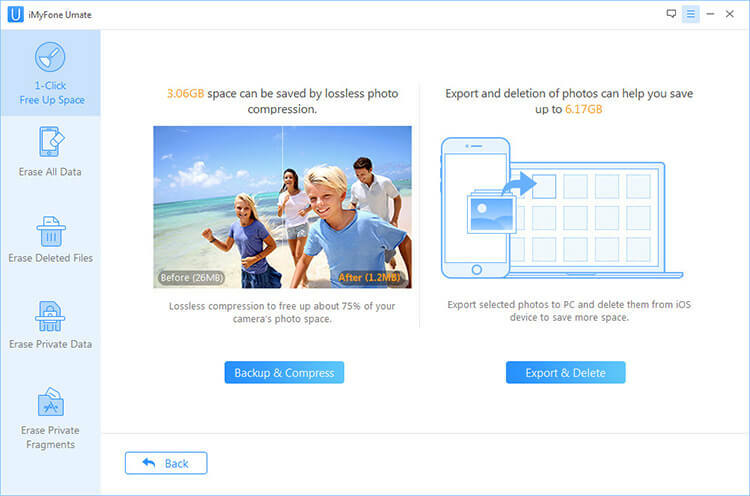 Export original photos to computer and losslessly compress photos on iPhone to save 75% photo space. Permanently erase existing photos or deleted photos from iPhone without chance of recovery. Clear photos cache from iPhone in one click. iMyFone is trusted by thousands of users (every year) and reported by well-known media around the world, like getintopc.com, MacWorld, APPKED and 50+ more. 1: Launch iMyFone Umate Pro and connect your iPhone to it. 2: You will be in the interface of "1-Click Free Up Space". Click "Photos" tab. Note: If you want to clean photo cache, you can go to "Junk Files" tab from the interface. 3: Choose "Backup & Compress". It will start to export photos to computer and then compress photos. Compressed photos will not be damaged. Only the photo size will be reduced. Other info like location, album, moment, date taken, etc. will not be changed. Step 1: To begin, simply open the Photo app from your iPhone/iPad. Step 2: Go to “Albums”. In the top right corner will be an "Edit" button, which you may select. Step 3: This will enable the delete feature, which places a red circle beside each album you have created on the iPhone. Click the red circle on the albums you wish to delete and click “Delete”. Using the above steps can delete the albums that you you added. 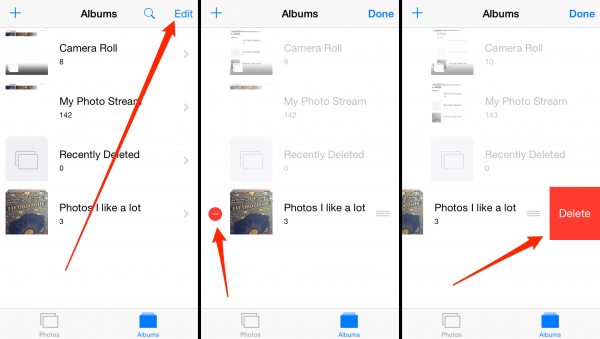 It's not available to delete stock albums from iPhone/iPad, such as "Selfies", "Videos", "People", "Places" and more. However, you still can make the stock albums disappear from your iPhone/iPad. Step 1: Open Photos app and go to Albums tab from the bottom. Step 2: Tap on Places album. Step 3: Tap Select and then Select All button. Step 4: Tap the trash icon at the bottom right corner to delete photos from Places album. When your Places album is empty, it will be deleted from your iPhone. If your iPhone/iPad is synced with iTunes, you are able to delete albums from iPhone through iTunes. The process is not much more difficult. Step 1: Connect your iPhone/iPad to your Computer and open iTunes. Step 2: Tap your device tab and click the "Photos" tab. Step 3: Once you are in your photos, click on the tab that says "Synch Photos from". Step 4: When you find the album you want to delete, uncheck the box next to that album and hit "Apply" to begin the synch process. This will delete photo album from your iPhone.